After a price hike of Rs6, petrol now stands at Rs98.89 per litre, while inflation surged to 9.4% – the highest level in five years. The rising inflation, the dwindling foreign reserves and the growing current account deficit have all practically halted the progress of the country’s economy for the last seven to eight months. The Pakistan Tehreek-e-Insaf (PTI) government still seems clueless about how to put the economy on the right track again, and in order to collect more revenue to generate resources for its expenses, it has now increased the prices of petroleum products. After a price hike of Rs6, petrol now stands at Rs98.89 per litre. At a time when the masses are finding it almost impossible to manage necessary expenses due to price hikes in daily necessities such as groceries and medicines as well as increased tariffs for utilities such as gas and electricity, this rise in petroleum product prices will eventually make it impossible for them to survive this period of economic turmoil. Meanwhile, the PTI-led government is borrowing heavily from friendly states and also looking for assistance from the International Monetary Fund (IMF) as a way out of this crisis, while also giving mixed statements to the public and following the same path it vowed to never take. The rise in petroleum prices will ultimately increase prices across industries, while also hurting employed individuals as they pay more for their commute. 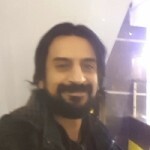 It has been a bitter truth in Pakistan that ordinary citizens are always the ones who pay the heaviest price for the game of thrones played in the corridors of power. According to the Pakistan Bureau of Statistics, inflation surged to 9.4% last month – the highest level in five years. This is bad news; there is no other way to describe it. And yet, all the energy possessed by the PTI government seems to be targeted towards somehow proving Asif Ali Zardari and Nawaz Sharif corrupt and getting the alleged looted money back. 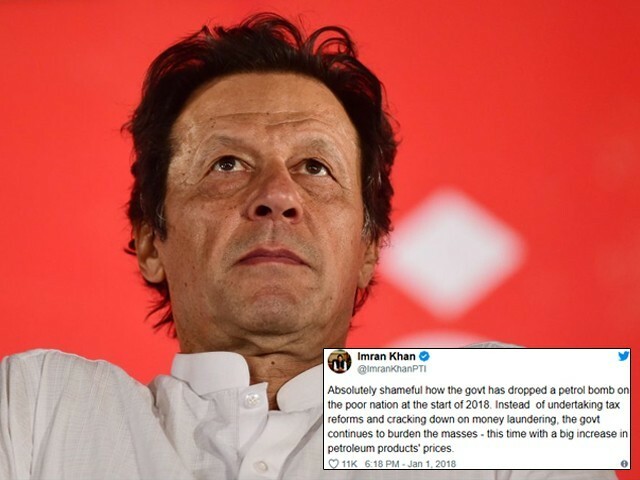 From Finance Minister Asad Umar to Prime Minister Imran Khan, whichever figure of authority is asked about the current economic turmoil, there is no response other than to blame previous governments. They only hold the Pakistan Peoples Party (PPP) and the Pakistan Muslim League-Nawaz (PML-N) responsible for the current scenario, and offer no concrete plans on how they will get the country out of this mess. But what do PML-N and PPP have to do with the past eight months of governance? Ironically, Imran was once a vocal critic of this formula of increasing prices of petroleum products to increase revenue, and has now unsurprisingly taken yet another U-turn. Govt crushing the poor under weight of constant price hikes.POL price hike will raise prices of all essentials. Unacceptable. PTI 2 protest. Absolutely shameful how the govt has dropped a petrol bomb on the poor nation at the start of 2018. Instead of undertaking tax reforms and cracking down on money laundering, the govt continues to burden the masses – this time with a big increase in petroleum products' prices. If one goes by Imran’s own words, does this not mean that the PTI is now shamelessly burdening the masses in order to run the affairs of the state? Further, Imran’s adviser, Abdul Razak Dawood stated that in an effort to put the economy in the right direction, people will have to put up with inflation for some time. Dawood is an incredibly wealthy businessman, and one wonders how he can so callously expect the poor majority of the country to simply ‘put up’ with paying more for everything while their real wages are at a decline. Rich men like Dawood need to come out of their bubble in which they expect everyone to be able to smoothly sail during an economic crisis. Why should the poor consistently make all the sacrifices? What sacrifices have the wealthy leadership made to their luxurious lifestyle? Dawood should try spending a month or two with a limited budget of not more than Rs60,000 to 70,000 in a rented house and then let us know how it feels to ‘put up with inflation’. As far as Umar is concerned, he continues to have nothing new to offer to fix the economy other than sloganeering and emotional speeches for the PTI fan club. While in opposition, Umar criticised the former government for increasing petroleum prices and accused it of robbing the masses while failing to tax the powerful or stopping money laundering. Now as the finance minister, he himself has been instrumental in increasing prices across the board, and instead of offering an apology for his past statements which misled people to believe he actually has a plan to help Pakistan’s economy in the long run, he is busy defending his actions. Loans from the IMF will never fix the economy; neither will loans from friendly countries. Nawaz was able to put the economy on the right track because he generated business activities and investors had trust in the PML-N government. On the contrary, apart from the accountability rhetoric and non-realistic promises like the five million housing scheme, the PTI government has nothing concrete to offer investors. A prime minister who travels the world and explicitly reminds it of the dire state Pakistan is in due to corruption of previous regimes can only win sympathy and loans, never actual investment. Perhaps both Imran and Umar need to understand that spreading propaganda is very easy, but it takes skill and experience to execute plans and actually implement policies that work. Unfortunately, states are not run through social media propaganda, and Imran should take note that constant sloganeering will not help him thwart the economic crisis, nor will it improve his governance. After eight months in power, blaming predecessors for looting the country and asking for some more time will no longer work, for this time is more than enough to at least devise a concrete strategy to bring the nation out of the state it finds itself in. When the PML-N government took charge in 2013, it was faced with challenges of terrorism, a crippling economy and a power crisis, but instead of only blaming previous regimes, it took actual measures. As a result, we saw growth in the economy, while the scourge of terrorism and the electricity shortages were also dealt with to an extent. What isn’t working for the PTI is that it keeps bringing up the past without any uniform focus towards the future. Every day prices seem to be on the rise and the currency depreciates while the middle and lower economic classes are destroyed. The challenges ahead are tougher and right now, from investors to ordinary citizens, everyone is perplexed and uncertain about the future of the economy. If PTI really has a plan or something unique to offer, now is the time to reveal it. Otherwise it will only become harder and harder to fix anything and give the people some relief from these gruelling eight months by slashing prices on necessities and utilities. In fact, any further delay by wasting energy on undermining political opponents rather than on fixing the economy and the governance issue will result in damage to the country that may be beyond repair.